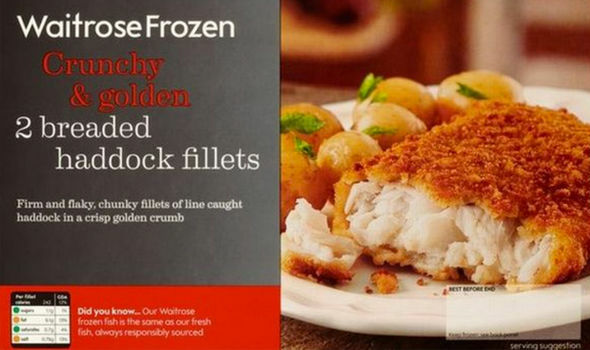 Supermarket chain Waitrose have been forced to recall their Frozen 2-Pack Breaded Haddock Fillets after it emerged that milk and mustard were included but not listed as ingredients, posing a serious health risk to anyone with allergies or intolerances to either of the two ingredients. The FSA are advising that all customers who have bought the product and suffer with an allergy or intolerance to either of the two products do not eat it and instead return it to to the store from which it was purchased for a full refund. “We are recalling Waitrose Frozen 2 Breaded Haddock Fillets (date code Feb 18) because batter haddock fillets have been included instead. This contains milk and mustard - allergens which have not been declared on pack. “Customers who have allergies to these ingredients should not consume this product but return it to Waitrose for a full refund.